The name was not familiar to me, but I was intrigued. The deeper I delved into the strange world of Internet reviews, the more my interest was piqued because, for the most part, I couldn’t find anything negative written about 137 Pillars House in Chiang Mai. Every hotel has had complaints, it’s just the nature of the business even if it’s something as ridiculous as a guest not liking the type of coffee served in-room. 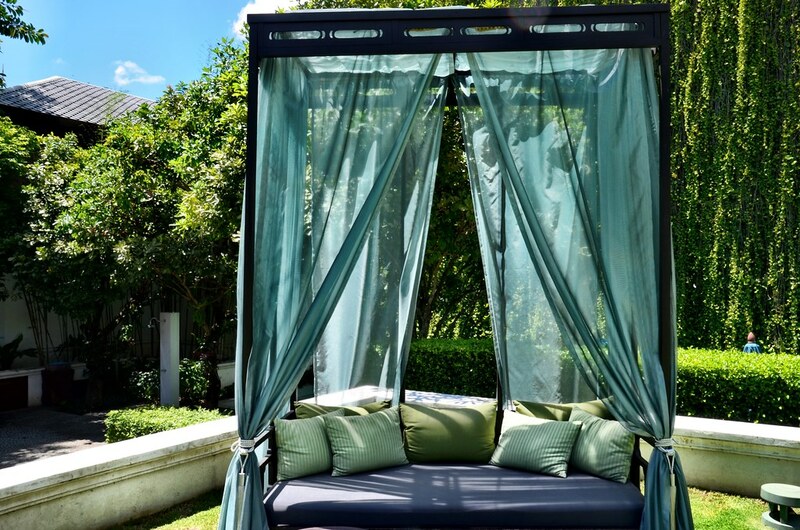 But as far as I could tell, the reviews for this small luxury hotel in Chiang Mai, Thailand were positive; everyone who stayed at this quietly famous resort seems to have walked away not only happy, but thrilled beyond belief. I say quietly famous, because, as I did the research, I also discovered that since the hotel first opened its doors in 2011 it has won award after award, including Travel + Leisure Magazine’s World’s Best Award for the Best Resort Hotel & Inn in South East Asia. In a part of the world where luxury and service abounds, that’s no small feat and my curiosity about 137 Pillars House had reached levels of near obsession, especially since I also learned that it was part of the Small Luxury Hotels of the World Collection. Now that a couple of months have passed since my own remarkable stay at this legendary hotel, I can safely say that yes, it is one of the best resort/hotel experiences I’ve had the great pleasure to enjoy, and I’m excited to share with the world what makes this remarkable property so very special. The first resident of the home was Louis Leonowens, son to Anna Leonowens of “The King and I” fame. He established the Chiang Mai headquarters of the Borneo Trading Company in 1886 and soon his home served as a gathering place for many of the expats in town. It’s this history upon which not only the 137 Pillars House in Chiang Mai but the entire company is built, a legacy found throughout the hotels today. 137 Pillars currently has two locations, the original in Chiang Mai and a brand new, more modern, hotel in Bangkok with plans to open an island retreat on Phuket in 2019. 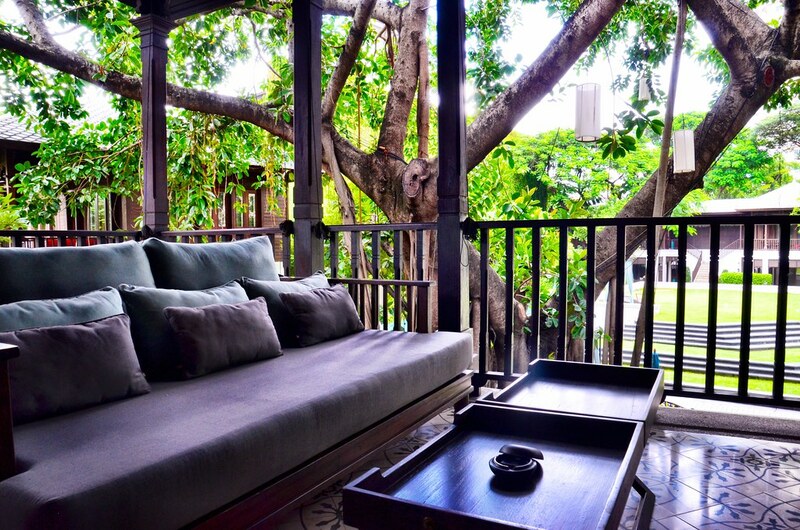 But it’s the Chiang Mai house that forms the emotional heart of the brand. Restoring the property to its former glory was the mission of owner Panida Wongphanler, who simply wanted a country retreat; a place to relax in comfort and style. In Chiang Mai she found that old teak wood home and began the long process of restoring it and sharing its story. The original house stands on 137 pillars to protect from seasonal flooding and its painstaking refurbishment by Wongphanier led to the creation of the luxury resort masterpiece we see today. 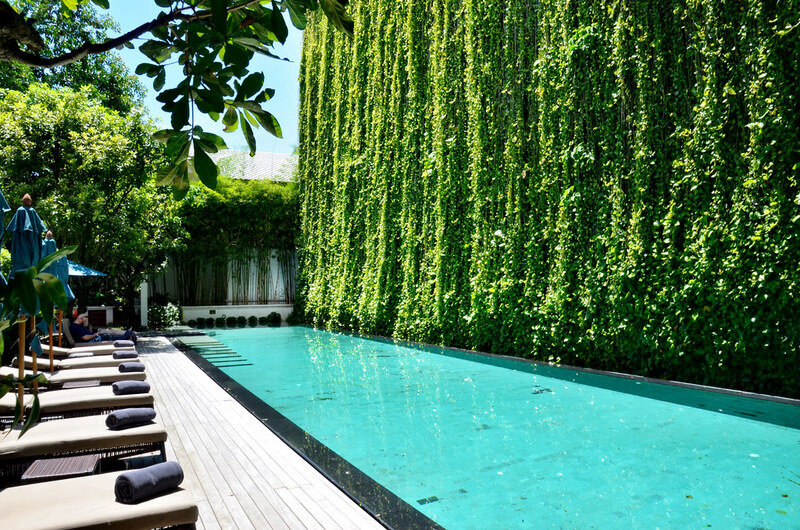 Originally opened to the public in 2011, the 137 Pillars House and its 30 suites quickly gained a reputation for outstanding service and luxury quietly tucked away in a nondescript Chiang Mai neighborhood. In a country and region famous for its luxury hotels and resorts, 137 Pillars still offers something different, something unusual and something undeniably special. Staying with the 137 Pillars House is much more than checking into a hotel or resort, it’s a holistic experience that begins immediately. Met by a team of staff, everyone has their own unique role in the guest experience and each goes out of their way to make visitors feel not just welcome, but special and unique. The 30 suites around the lush property come in a range of sizes, but the style and inspiration is the era of the original inhabitants during the 19th and 20th century. Darkly beautiful teak, hand-crafted furniture designed just for 137 Pillars and many other more subtle touches make it seem as if you’re walking into a dreamworld. At the heart of the experience naturally are the luxurious suites of which none are deficient, each one specially designed to create a hospitality experience no one will soon forget. The large suites feature expansive terraces with welcoming daybeds, signature rattan rocking chairs, high ceilings, en suite dressing room and walk-in closet, garden views, indoor/outdoor showers, Victorian baths and so much more. Everything comes together in a perfect combination of elegance, luxury and comfort. That level of quiet sophistication extends throughout the entire property, which itself feels like a secret enclave amongst the hectic city. At the center of these amenities is the original house which inspired this private retreat, lovingly restored and today home to the main restaurant as well as the gym and a small museum dedicated to the history of the property. Add in a luxurious spa and a beautiful pool flanked by a garden wall, and I can think of few better places in the world to relax and unwind in style and comfort. A truly great hotel though isn’t defined by its spa or pool, it is necessarily defined by the people who work there and the level of service offered to guests. That is the heart of luxury travel, much more so than any external trappings and it is also where the 137 Pillars Hose in Chiang Mai excels. Before arriving, I didn’t necessarily have high expectations for the hotel’s vaunted butler service, offered to all guests. As I soon learned though, the butler service at the 137 Pillars isn’t just extraordinary, it’s at the heart of the service experience. Immediately upon checking into the 137 Pillars House, I was introduced to my butler for the duration, but even then I didn’t fully understand how she would transform my experience not just at the resort, but in Chiang Mai. She added herself to my phone’s contact list, sent me a test text message and let me know she would be available 24/7 for whatever I needed. And you know what, she meant it. I only saw her a couple of times, but we texted all the time, whether it was me asking for restaurant recommendations or her offering to clean our shoes after a day of volunteer work at a nearby elephant sanctuary. By the end of my stay in Chiang Mai, I realized that she didn’t only make my experience almost impossibly better than it otherwise would have been, she had become a friendly acquaintance I would miss. She personalized the travel experience and that, that is at the heart of modern luxury travel. My experience staying at 137 Pillars House in Chiang Mai was so much more than patronizing another hotel or resort. It truly was an experience in every way from the outstanding service to the luxurious suites and the general feeling of peace and well-being that pervades every inch of the retreat. 137 Pillars House also helped me better explore Chiang Mai for the first time thanks to their incredible location in town as well as their expert advice. Popular sights, restaurants and cafes that I might have otherwise missed became important aspects of my time in the city thanks entirely to the advice of the staff at The 137 Pillars House. They have integrated their own level of care and service into the broader travel experience, transforming my trip into an event I know I’ll never forget. 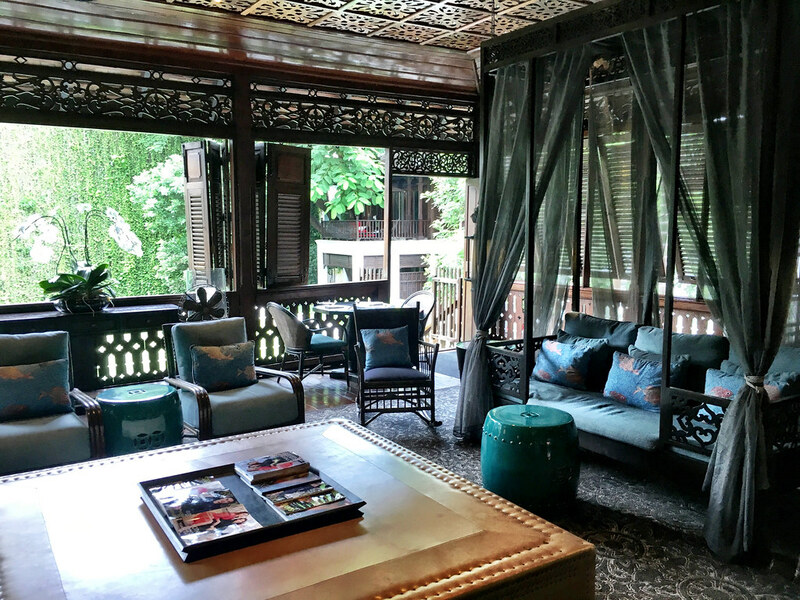 Around the world there are a few very special places to spend one’s vacation and 137 Pillars House in Chiang Mai is one of those rare hotels that is so much more than a place to spend the night, it is a destination unto itself. My wife and I stayed at 137 Pillars a couple of years ago. It was terrific. I especially liked our butler. We could walk easily to the old town part of Chiang Mai. There is a great coffee shop nearby called “Woo.” If we go back to Chiang Mai, we will definitely stay at 137 Pillars again.